Indispensable for modeling... 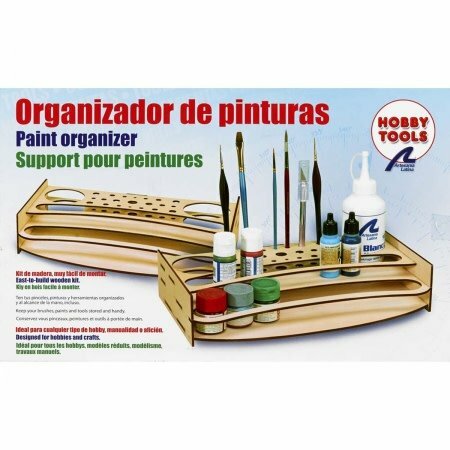 The Modeler's Paintings and Tools Organizer is a necessary element if you want the assembly of any modelnot to be a headache for you. 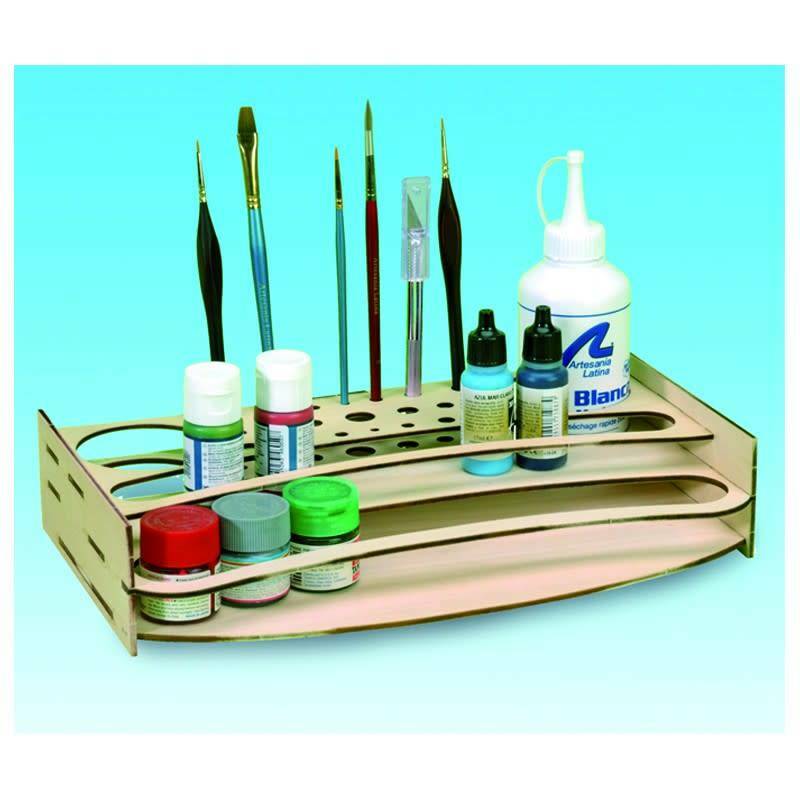 Manufactured in wood, in pre-cut board with laser, it will make easier your work enormously. 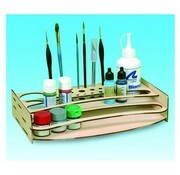 In addition, it is the perfect complement to the Modeler's Workstation or Workbench. 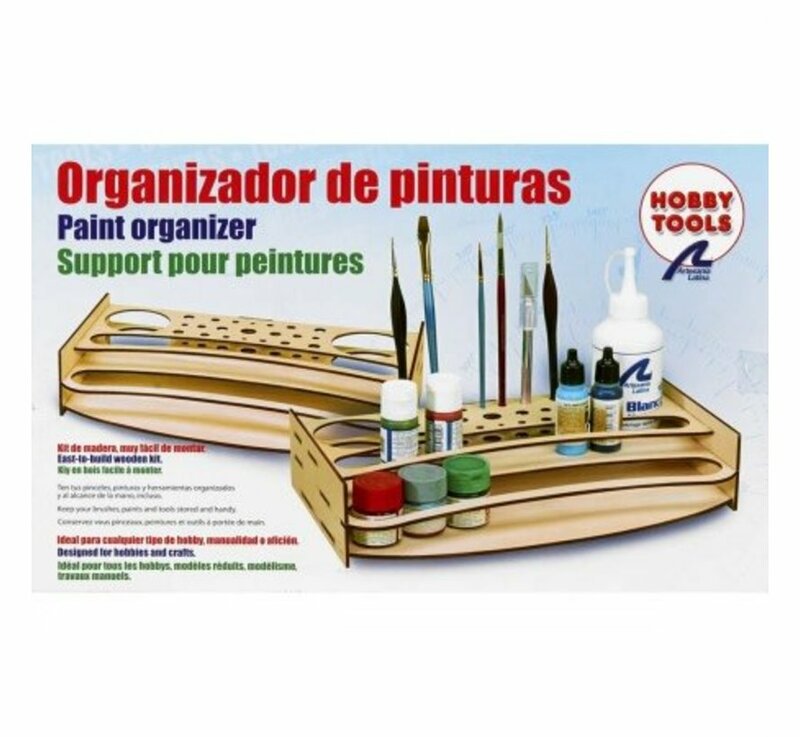 Light and yet resistant, the Modeler's Paintings and Tools Organizer is designed to host the leading brands of modeling paints from leading national and international brands. It has two larger holes to put larger containers (white glue or varnish, for example), as well as several small holes for various types of brushes, cutters, files and tweezers. 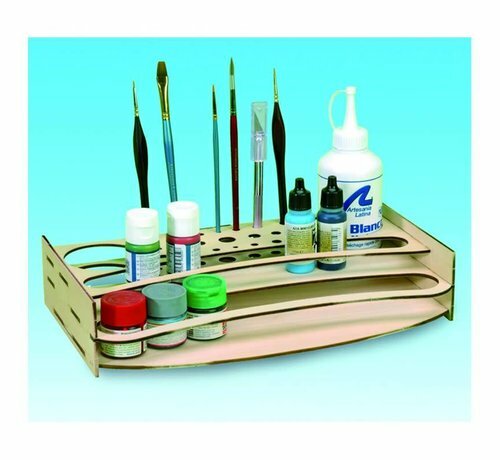 The Modeler's Paintings and Tools Organizer is designed to be stored in the Modeler's Workstation, a fully portable modeling workbench 27648 (sold separately). It does not include paintings.